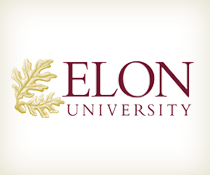 Some of the images and language that appear in Elon’s Phi Psi Cli yearbooks depict prejudices that are not condoned by the university. These student-produced yearbooks are being presented as historical documents to aid in the understanding of both American history and the history of the university. The availability of past yearbooks should not be taken as an endorsement of these offensive attitudes or behaviors. 400 N. O'Kelly Avenue, Elon, N.C.